PJ Purrs belong to our friends, Paul and Judy, who have been extremely helpful in helping us transition into the world of Himalayan breeding. 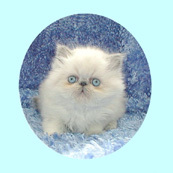 Our Sire, Silver Dream, was raised as a kitten in their cattery, and we are very happy to have him. Over 6,000 Cat-Related Web Site Listings! !